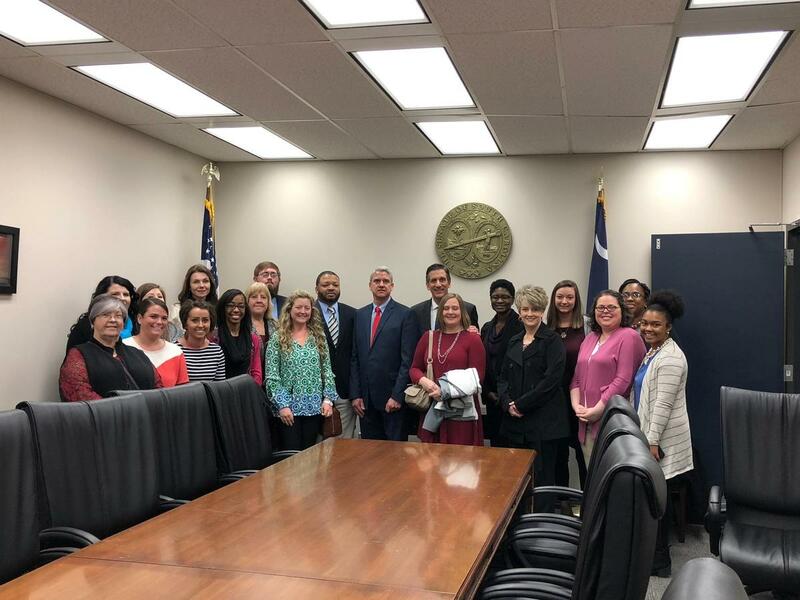 On Wednesday March 20, the Chesterfield County School District Teacher Forum travelled to the State House in Columbia, SC for Hill Day. They were escorted by Craig King, Director of Governmental Affairs for Palmetto State Teachers Association. They began the day attending the Senate Education Subcommittee meeting. There, the members discussed amendments to the bill, such as adult education, teacher retention, and student employment after graduation. Next, they sat down with Senator Vincent Shaheen and were able to ask questions regarding any concerns that they may have. PSTA Executive Director, Kathy Manness, joined them and walked them to the House of Representatives to be recognized. The teachers were introduced by their House Representative, Richie Yow. The teacher forum were also taken & introduced to the Senate by Senator Shaheen.